The C-3PO silicone mold was crafted from the original sculpting and utilized to produce urethane hardcopies. These hardcopies later served either as photography samples or were directly involved in the generation of production molds for the plastic Play-Doh toy molds. 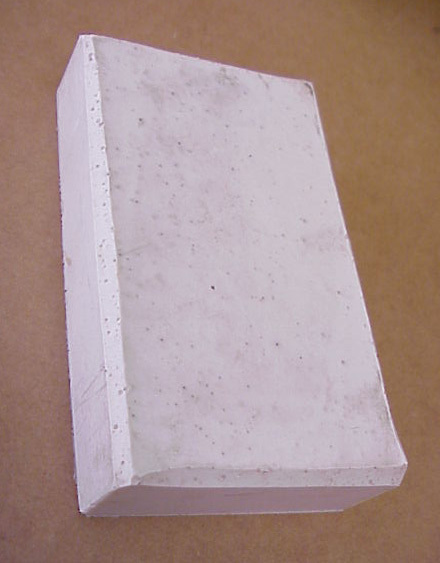 The second image affords a glimpse of the rear mold face. Notice this side is entirely flat unlike the opposite side which features a figural cavity. C-3PO represents one figure found in the Wicket the Ewok Play-Doh set. C-3PO and R2-D2 represent the only non-Ewok characters found in this playset, the rest are Ewoks. As of late 2005, only two Play-Doh silicone molds have surfaced for sets other than the ROTJ Jabba the Hutt Play-Doh set. They include the C-3PO seen in this entry along with Yoda from the Yoda Play Set. A number of silicone molds for the Jabba the Hutt play set may be viewed on the Archive including: Jabba the Hutt, Princess Leia in Boussh Disguise, Bib Fortuna, Squid Head, and Han Carbonite. 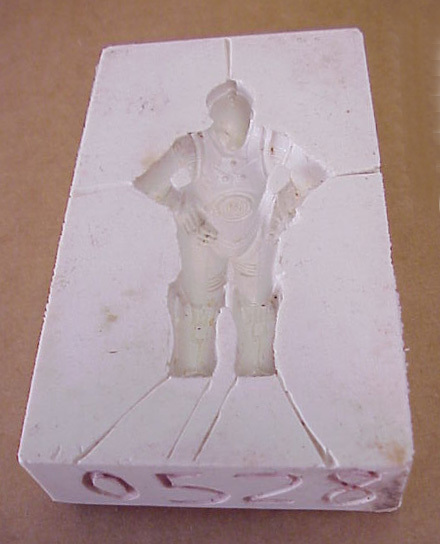 A Luke Jedi mold also exists from this set, but is not currently available for viewing on the site.